The film is based on the life of Purushottam Lakshman Deshpande popularly known by his initials "Pu. La." or as P. L. Deshpande, a Marathi writer and humorist from Maharashtra, India. 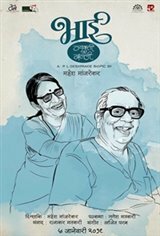 The film chronicles the multifaceted life of the stalwart Marathi writer with unparalleled talent and ability to connect with the common man through his narrative style Katha Kathan.